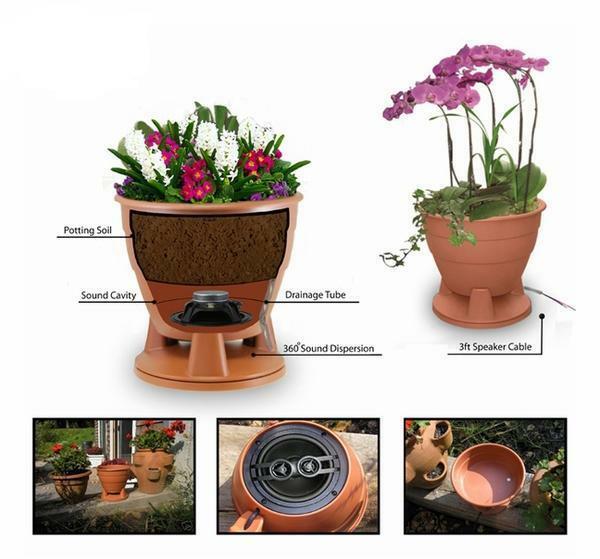 Easily plant your favorite flowers and plants with great built in 5.25" speaker sound with dual tweeter for stereo sound. The PS525 Single Stereo Planter Speaker Omni is a spectacular way to add great sound to your outdoor space. 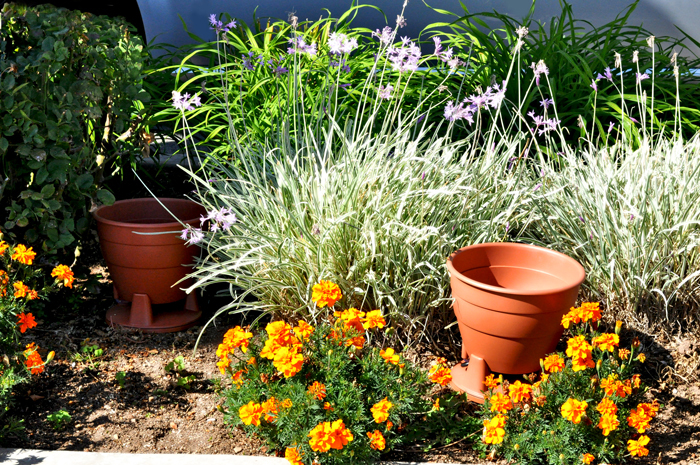 You can add it anywhere in your landscape, and the best part is that it's designed to hold real plants (unlike some stereo planters, which are outfitted with unrealistic, fake flowers). They allow adequate drainage, but don't worry; the sealed speaker keeps water out of the essential areas. This stereo planter delivers high frequencies at 12 degrees above horizontal, so you won't lose them at your feet. Planter speakers can be used anywhere in the landscape. They also offer an unobtrusive way to get speakers close the patio. 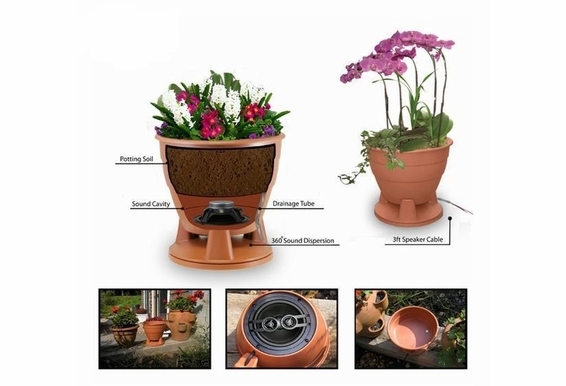 We provide our customers with rectangular planter speakers and round planter speakers. We also offer a stereo-input round planter model with dual tweeter and a dual-voice-coil woofer. 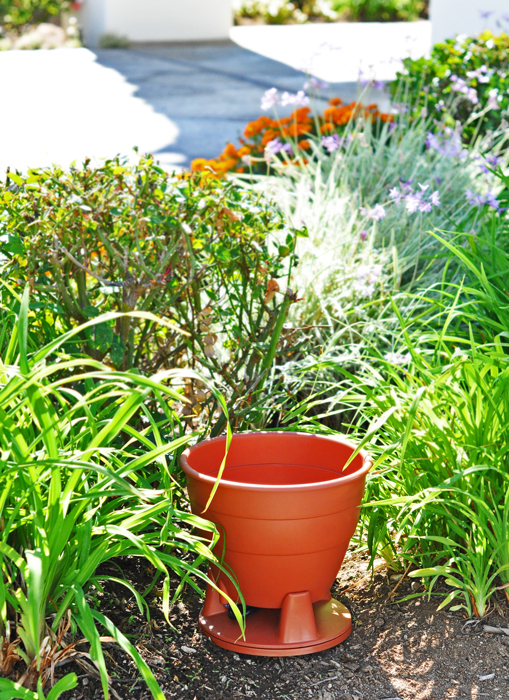 While other planter speakers use fake flowers for their disguise, ours are designed for real plants, with attention paid to providing adequate drainage for the soil. The sealed speaker portion keeps water away from the critical area. Our omni planter speaker utilizes a downward-firing speaker that reflects its sound off of a dispersion plate, producing a 360-degree omni-directional sound. The dispersion plate, which forms the base of the planter, is designed to deliver high frequencies at 12-degrees above horizontal, So If you’re standing in the yard, the high frequencies aren’t being lost at your feet. I have the PS 520 model, had them for years, but one speaker is blown.. Is there a way to just get 2 new speakers? Hello Annette, We are currently out-of-stock on this model but we will be receiving more in the coming months. I believe sometime in September or October. You may also check Amazon to see if they are in-stock there. Can I plug my android phone or mp3 directly into the speaker? No - you need an amplifier or receiver to power these speakers. You plug your phone or mp3 player into the amp/receiver. I am looking at wanting to hook 4 of these up on my deck. Is that possible? I prefer these ones over the 520 as the woofer is a bit bigger and they have dual tweeters. If I hook one up per channel, would I connect 2 wires to + and the other 2 to -? Will this allow a 4 speaker set-up. Does a single speaker emit both left and right (stereo), or must there be two? Three questions 1. 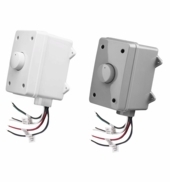 I am hooking up a pair of these to existing separate left and right channel run wire, Should i buy 2 525's or the pair of 520's ? 2. Will this fit in an 8" flower pot ring mounted to a wall ? Here is what I was thinking of ... https://www.amazon.com/dp/B001E8V0GA/ref=asc_df_B001E8V0GA2292318?tag=thefind0222282-20&creative=395261&creativeASIN=B001E8V0GA&linkCode=asn 3. If not .. what is the size of the base ? 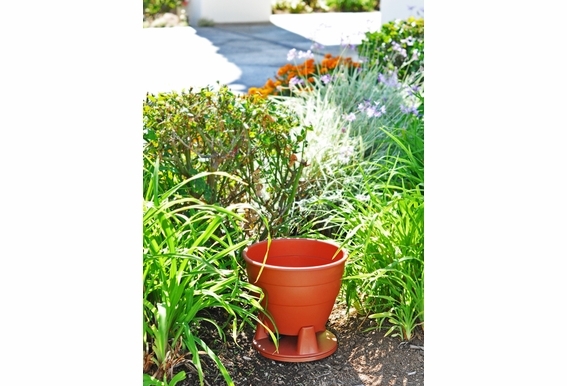 What is the dimensions of the actual planter? 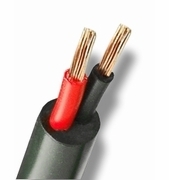 This speaker has a 4 conductor connection. 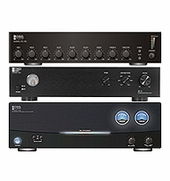 If I want to run this to my center channel on my receiver, can I combine the two (+) and two (-) wires to run a 2 conductor wire to the receiver? IS THERE A LOCAL STORE TO PICK THIS UP AT? What would be the max wire length for these speakers and min wire gauge size?? Can you connect an iPod directly to this speaker? No you cannot. This speaker requires an amplifier or receiver to provide power.